This August, I had the opportunity to present at Litmus Live in London. All of us on the Mail Designer Team at TOWER ONE make heavy use of Litmus to verify our new design features work across all email clients, so it was great meeting up with the team there and meeting other email nerds. My talk on our solution for building HTML newsletters that work in all versions of Outlook seemed to go down well and it was a really fun conference overall. 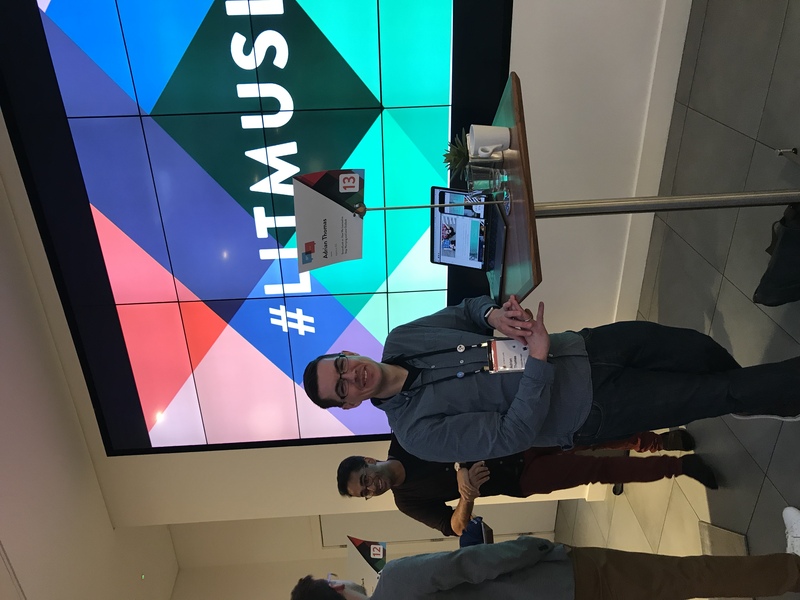 ￼Now that Litmus have wrapped up the last event for this year, here are some quick impressions for those of you thinking about attending next year. The Litmus team have clearly put a lot of thought into how to improve the social aspect of a conference. They provided topic badges and ice-breaker suggestions alongside the other conference material, which really seemed to help people get talking. And even if networking is something you don’t usually think is going to be useful in your day-to-day, you might be surprised: I had so many good and interesting conversations that have helped inform some of our product decisions, so it’s good to see Litmus putting an emphasis on that aspect of the conference. The conference is sensibly split into two tracks, marketing and email development, so you can focus on the topics you’re most interested in. I particularly found the talks on email accessibility and choosing your ESP to be really interesting. The live email optimization discussions were also great and did a good job of highlighting some quick ways to improve certain types of emails. And kudos to the participants brave enough to put their work up for critiquing! If you send a lot of emails, build newsletters or work with a large newsletter subscriber base on the marketing side of things, Litmus Live is worth checking out. 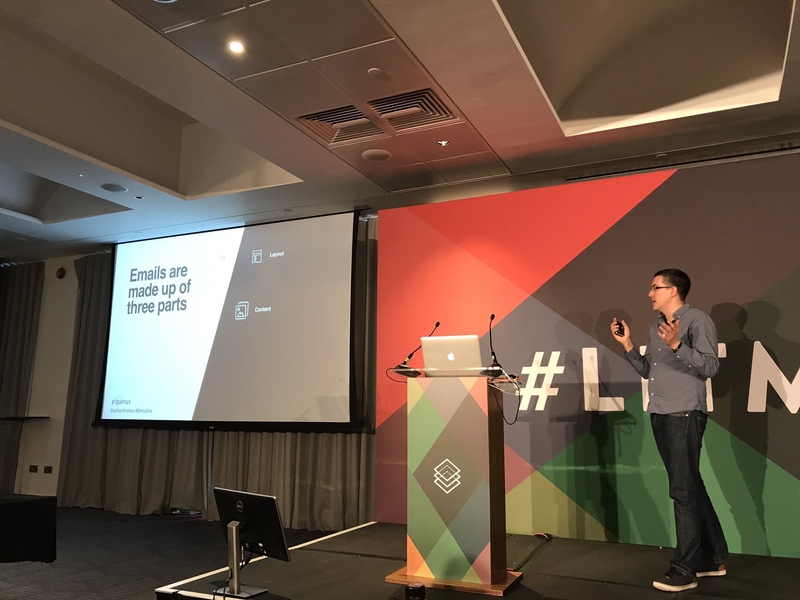 You can find my talk on how we tackled Outlook compatibility in Mail Designer 365 at the Litmus Live London site. This entry was posted in General and tagged #litmuslive, conference, design, equinux, html, mail designer 365, newsletter, presenting, speaking, talk. Bookmark the permalink.